I have accumulated quite alot of cookbooks. Propably no more than any other person out there with a slight obsession in cooking, baking and collecting vintage cookbooks. My mother reluctantly buys them for me when asked what I want for my birthday (she thinks I have too many) and Christmas is easy, I always ask for a subscription to Gourmet Traveller. I could have a worse obsession! or a more expensive one! oh yeah I do, vintage jewellery. 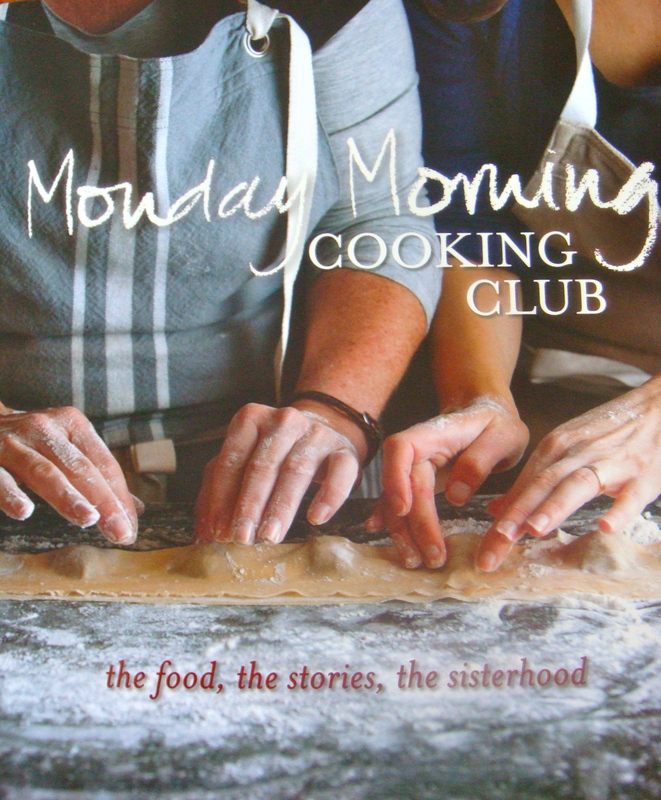 Monday Morning Cooking Club is a collection of tried and well tested recipes from a group of ladies who, yes, meet on monday mornings to cook and chat. In fact they met on Monday mornings for three years! They wanted to gather recipes that told a story. They realised the Jewish community have a strong association with food and the stories surrounding them. They began emailing everyone they knew asking for recommendations for the best home cook they knew. Eventually they had acummulated a list and they wrote to each one asking for their most cherished recipes. The testing began and eventually the list of recipes began to develop. Each recipe in the book is preluded by a story from the person who revealed their recipe. 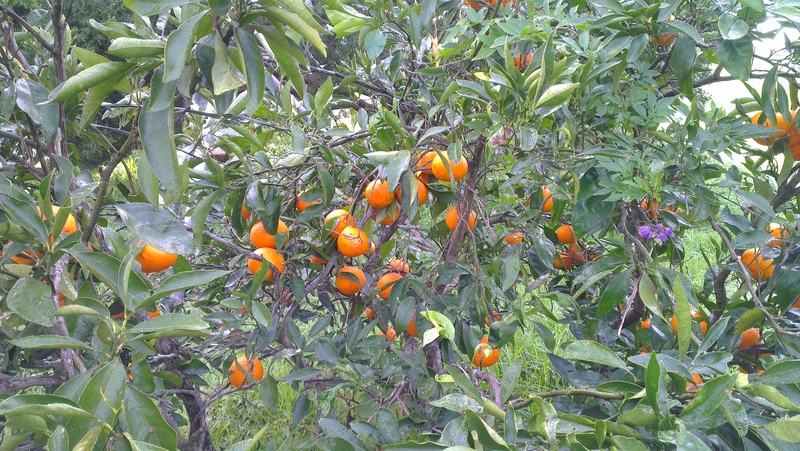 To know that your making a recipe that a family has enjoyed for generations is somewhat comforting. It also means it has been tested, alot. I have made a few things from it and there are still alot more on my waiting list. 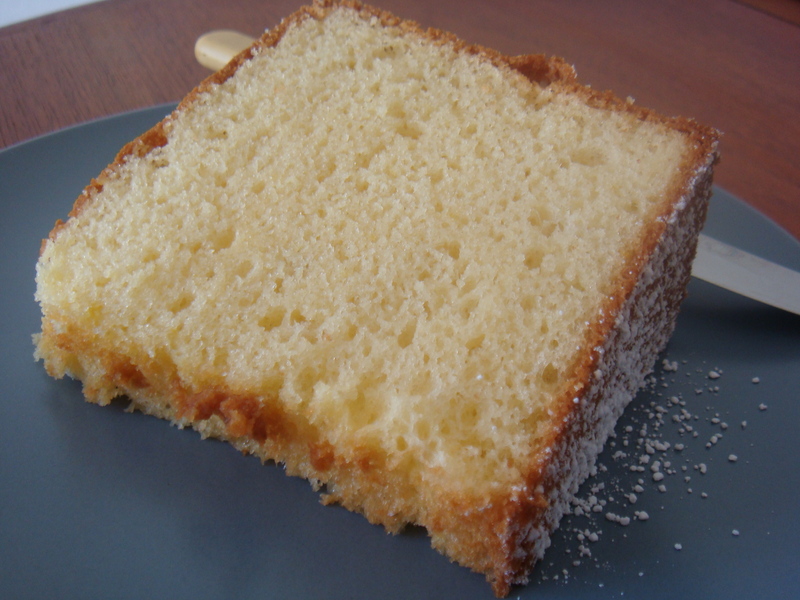 The custard chiffon cake was the first. 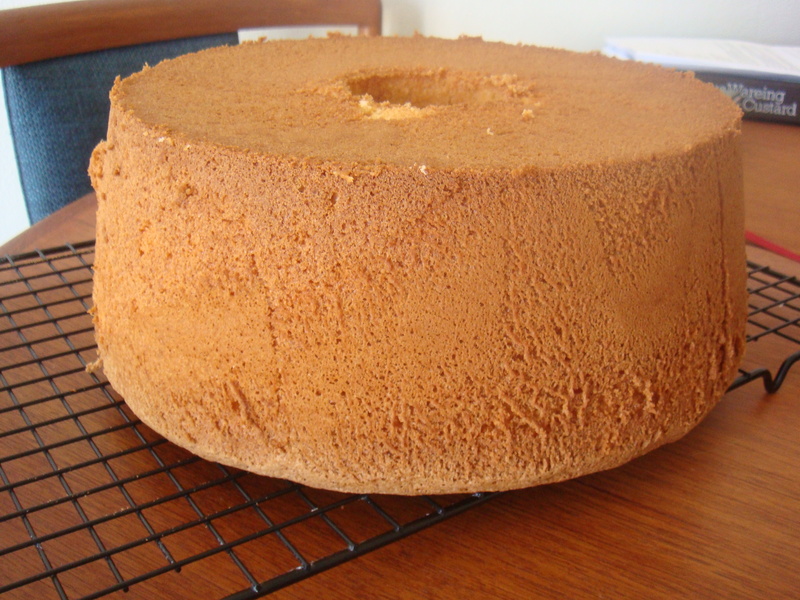 It was my first time I made a chiffon cake too. I couldn’t have wished for it to turn out better! I took it to work and the complements were endless, along with requests for the recipe. The second recipe I tried was the apple and cinnamon pie. I made it for dessert after a family Sunday roast. A simple ‘cake’ that still turned out fabulous even though I thought I had stuffed it up by coring the apples and cutting them with a mandolin so the cake batter kind of fell through the apples. An obvious mistake, after the fact, but the ‘cake’ turned out so well it pleased my 97 year old grandfather and more importantly my father who is a big apple pie fan. I’ve also tested out the the Israeli couscous soup, which is nothing mindblowing but a good store cupboard standby dinner. I liked the novelty and texture of the tiny round balls of ‘couscous’. I was in the baking mood and wanted something impressive to take to work so I made a chiffon cake again, this time the orange version. It turned out just as well, even though I thought I had over beat the egg whites. It may sound like I’m a hopeless baker but truth be known I’m just very hard on myself and perfection is hard to master in my eyes. Once again it turned our beautifully and my workmates were overcome with amazement at the height and fluffy texture of my cake. I just smiled and blushed but inside I was just a bit coy ,as I knew how easy it really was. Preheat oven to 180°C. 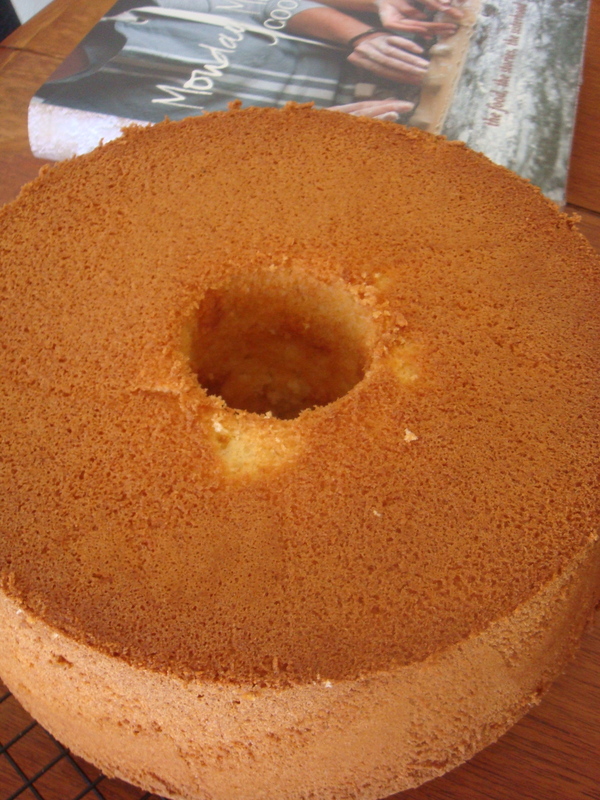 You will need an angel cake (chiffon) cake tin. Do not grease it. Whisk the egg whites until soft peaks form. Slowly add 115g (½ cup) caster sugar and continue whisking until egg whites are stiff but not dry. In a separate bowl beat the egg yolks with the remaining sugar until light and fluffy. Add the oil and keep beating until well combined. 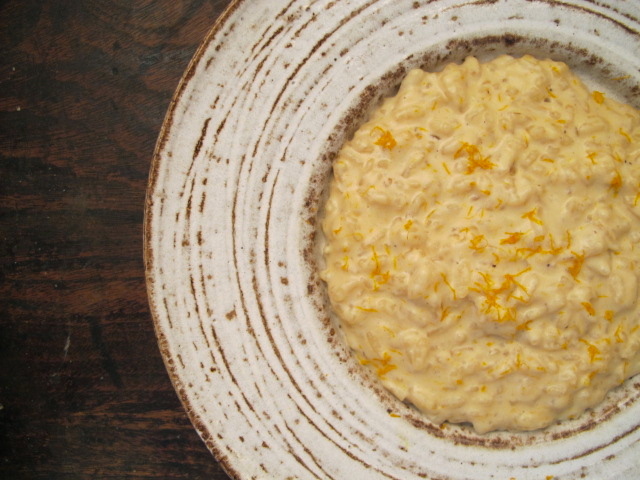 Add the orange juice (which I strained with a sieve to get out any fleshy bits) and lemon zest. Add the flour carefully, then beat to make sure the flour is well combined. Gently fold the egg whites into the flour mixture with a metal spoon, until just mixed through. Pour the mixture into the cake tin and bake for 1 hour, or until a skewer inserted into the cake comes out clean. 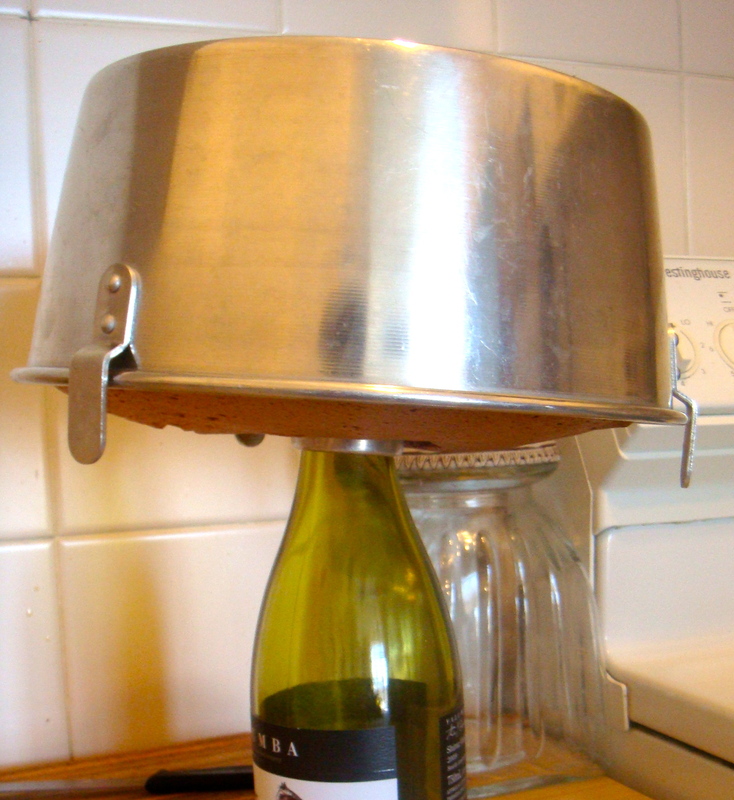 After removing the cake from the oven, immediately invert it to cool by balancing the middle funnel over a bottle neck. The cake will be dangling upside down. Leave it there until it is completely cool to stop it from collapsing. When cool remove from the bottle and run a knife around the outside of the cake and the funnel. Lift the base out of the tin, then use the knife to ease the cake off the base. If you have any crumbly bits or you just like the look, you can sieve a fine layer of icing sugar over the top.